The Fish Police perform Coco Butter, Chicken Nuggets For Me, Fish Water and Japanese Girl* live in session on The deXter Bentley Hello GoodBye Show on Resonance 104.4 FM in Central London on Saturday 14th June 2014. 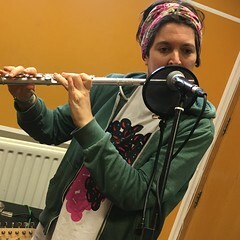 This entry was posted in dexter bentley, hello goodbye show, Live Radio on Film, Miscellaneous, resonance fm and tagged chester bentley, chicken nuggets for me, coco butter, dexter bentley, fish water, heart and soul, hello goodbye, japanese girl, marzipan transformations, resonance fm, the fish police. Bookmark the permalink.